On one hand we have the Spanish giants, Barcelona and on the other hand, we have the English giants, Chelsea, which will play against each other for glory in the Round of 16 Leg 1 of UEFA Champions League on February 20, 2018. The question is, will Chelsea be victorious over the Spanish giants or will the latter annihilate the English Club? With the introduction of Coutinho, Barcelona has sharply bolstered its attack as well as its midfield. And it should be noted that Coutinho has already been in a very good form before arriving to Barcelona from Liverpool in this transfer window and has already scored many goals and has assisted several times in its previous club. In short, he is in an excellent form whereas Chelsea has brought Olivier Giroud in this transfer window from Arsenal FC who is a fine player and has been in an okay form. Chelsea seems to be struggling with its form this season and it got eradicated by Watford by 4-1. According to the speculations, Conte, Chelsea’s manager might get sacked. Let us have a glimpse of attack of both the teams. Barcelona has got Luiz Suarez and Lionel Messi, the magician. The English giants have Olivier Giroud, Eden Hazard, Alvaro Morata and Pedro. 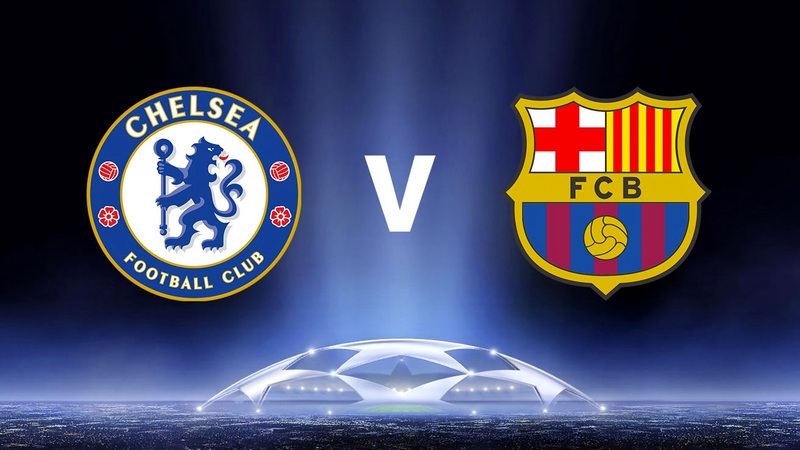 The attack of Barcelona can prove to be a grave threat for Chelsea. But, the attack of Chelsea is not bad either. Morata, Giroud, and Hazard can prove to be a threat to Barcelona’s defense. The only difference is that Barcelona’s forward and wingers are in an excellent form whereas Giroud has just arrived from Arsenal who happens to be in an okay form, Morata is struggling and Hazard is playing well. Now, the midfield. Undoubtedly, Barcelona’s midfield is God level. With Sergio Busquets, Andres Iniesta, Coutinho and Paulinho, Rakitic and Sergi Roberto, Barcelona’s midfield is unquestionably the best in the world. Now, let us look at Chelsea’s midfield, Eden Hazard, Barkley, Willian, Kante, Cesc Fabregas and Victor Moses. Undoubtedly, that’s an amazing midfield too! Now, let’s talk about both the teams’ form. Chelsea isn’t in a good form this season. They lost to Watford and got pummeled by Bournemouth by 3-0 too. If we look at Barcelona, they are in an excellent form and are the group leaders in their league. When it comes to defense, Chelsea has Cahill, Azpillicueta and David Luiz while Barcelona has Umtiti, Gerard Pique, and Jordi Alba. Chelsea has just sold Michi Batshuayi and Diego Costa whereas Barcelona has sold one of its star players, Neymar Jr to Paris Saint-Germain. But we shouldn’t forget that Barcelona has won UCL championship 4 times whereas Chelsea has won just one UEFA title, that too against Bayern Munchen by penalties. Barcelona has always proved to be dangerous in the champions league. To conclude, this is going to be a hell of a match and no one would be stupid enough to miss this match. Also, Barcelona has more chances of defeating Chelsea in the round of 16 Leg 1.